Grab your Molson and get ready to giver a rip! Hosted by one of the most inventive minds in standup, Jon Dore (Big Questions Huge Answers, Conan). 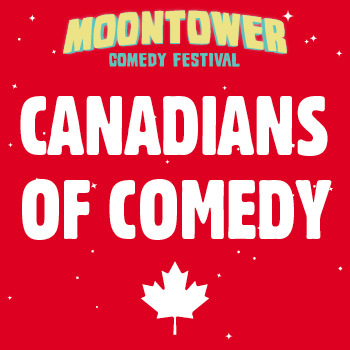 Moontower presents this amazing lineup of award winning comedians: DeAnne Smith (Netflix’ Comedians of the World), K. Trevor Wilson (Letterkenny, Netflix), Nathan Macintosh (The Tonight Show, Late Show), Bonnie McFarlane (You’re Better Than Me) and Kevin McDonald (Kids In The Hall). Eh? Eh! Eh. See why our comedy neighbors to the north are so celebrated.